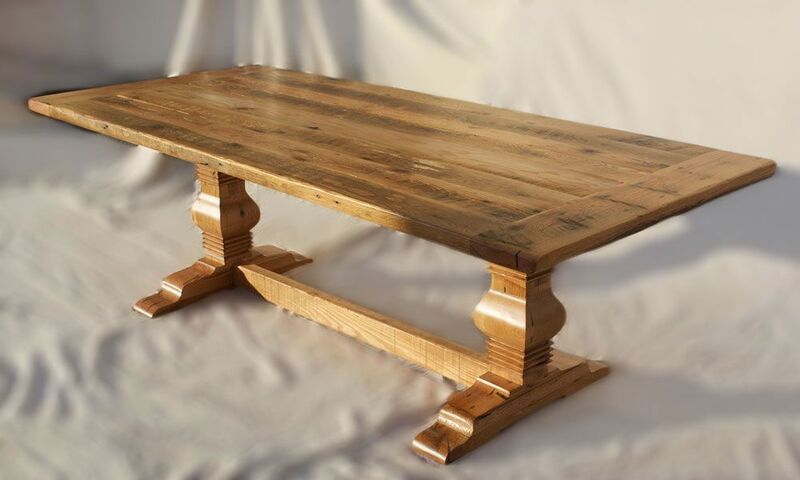 A gorgeous trestle dining table, crafted from reclaimed American oak barnwood. The table is generously sized to seat 8. The 1 3/4" thick top is planked, with breadboard ends. The boards bear original saw marks and planing marks, along with the splits, voids, and cracks characteristic of reclaimed wood. The trestle base adds to the "antique" feel of the table. 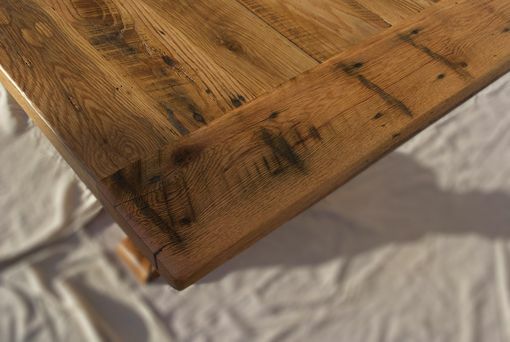 The beauty of the reclaimed oak is highlighted with a Greenguard certified clear top coat, one of the most durable finishes, and perfect for your dining table. Each of these table is unique. This table can be fully customized to meet your needs.